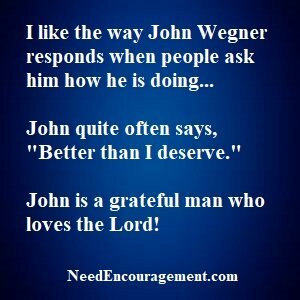 John Wegner Loves The Lord Jesus! 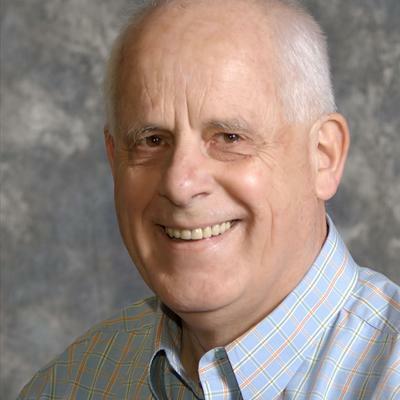 Our dear friend John Wegner is at home with the Lord Jesus Christ as of December 16, 2017. John finished strong! Here are some encouraging scriptures that John leaned on. John Wegner Was On The Dallas Cowboy Roster In 1966! John Wegner My Good Friend And Brother In Christ! John Wegner in this photo is doing another Milwaukee outreach day with other Christian men! Anyone who knows John Wegner will say that he is a brilliant man who loves the Lord Jesus, he grew up and became an outstanding football player in Wisconsin and also did very good at baseball. Then later on in life tried out for the squad of the Dallas Cowboy in 1966. John is a good man who has established himself as not only a great athlete in both football and also baseball over the years, but I must say that John’s athletic accomplishments pale in comparison to his relationship with Jesus Christ! Our friend John was very active in ministry in the Milwaukee area for many years with March For Jesus. He also has been busy the last few years at Heartfire ministry. He lives a quiet life dealing with ill health, yet he gets his strength and comfort from Jesus Christ. John Wegner gave up drugs and alcohol at the age of 36 and lived his last 37 years for the Lord. God answered a three-part prayer for help, hope and deliverance for John Wegner. Once an outstanding football player, John tried out for the Dallas Cowboys and made the roster. John influenced my life and the lives of many others. Christian Testimonies Of Green Bay Packer Players! Does the Bible say anything about violence? Does the Bible say anything about violent sports? John Wegner Very Active In Prayer Ministry! After his football days had been over, John had later embraced the lifestyle of a bar owner and operator, allowed alcohol to lead him where he did not want to be. 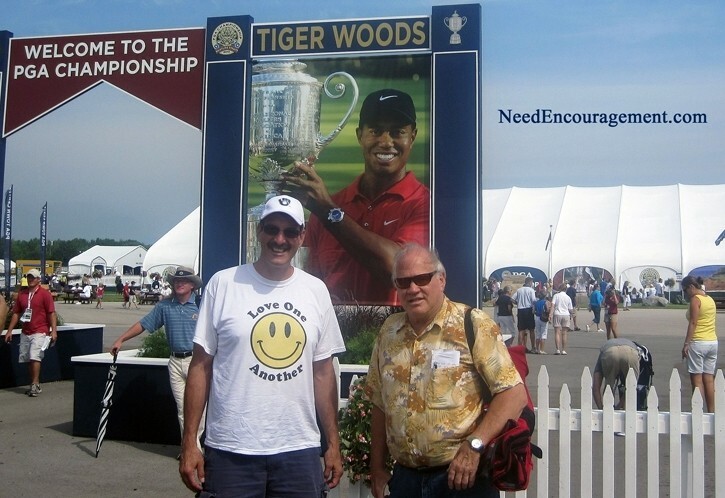 But, God answered a three-part prayer for help, hope and deliverance for my friend, John Wegner. The Lord Can Change The Heart Of Anyone of Us! God changed John’s heart, and then John was set on fire to share the love of the Lord through prayer, Bible study, and ministries in the Milwaukee area for many years. Once John Wegner who was an owner of a bar, who by God’s love and mercy turned his life over to Jesus Christ. John made a significant turnabout that happened after an A.A. meeting where John was soliciting for new customers for his bar. John has been a member or Eastbrook Church for over 20 years and has built some strong friendships with others at the church such as former head Pastor Mark Erickson. Since that day, John Wegner has served as the small group coordinator, prayer team leader, and usher at Eastbrook, his church home. John is Heart-Fire Ministries’ Prayer and Discipleship Coordinator as well as a community leader in Milwaukee. John Wagner has had many interests such as baseball, football, drinking, and many other interests in his life, but his primary interest for many years now has been Jesus Christ his Lord and Savior! Former Head Pastor Mark Erickson of Eastbrook Church Milwaukee, WI is close friends with John Wegner! Years before I gave my life to Jesus, I was a bar owner. At the bar, 4:00 pm – 5:00 pm every afternoon was designated as “Happy Hour” when all drinks were two for the price of one. The intent was apparent and caused multitudes of problems — car accidents, marriage breakups, arguments, etc. The presence of evil was abundant. Lying, confusion, distortions of the truth, expression of selfishness, exaggerated pride and death. It was easy to witness what our attitudes should not be. Bolstered by alcohol (spirits), the worst of human behavior was usually on display. “Attitude Adjustment Hour” made much money and destroyed many lives in the process. The attitude of sin and death is transformed (swallowed up) into an abundant life that can be found in Jesus Christ. John Wegner wrote this article and John has served at Heart Fire Ministry as Prayer & Discipleship Coordinator for ten years.